Got algorithm and good quality code in your blood? Spark and Hadoop clusters are your daily business? We have new challenges for you! Ultra Tendency is a software-development and consulting company, which is fast growing and specialising in the fields of Big Data and Data Science. We design, develop, and support complex algorithms and applications that enable data-driven products and services for our customers. 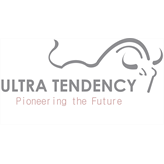 Ultra Tendency is a top-notch software-development and consulting company, which is fast growing and specialising in the fields of Big Data and Data Science. We design, develop, and support complex algorithms and applications that enable data-driven products and services for our customers. Want to get notified about new jobs at Ultra Tendency?